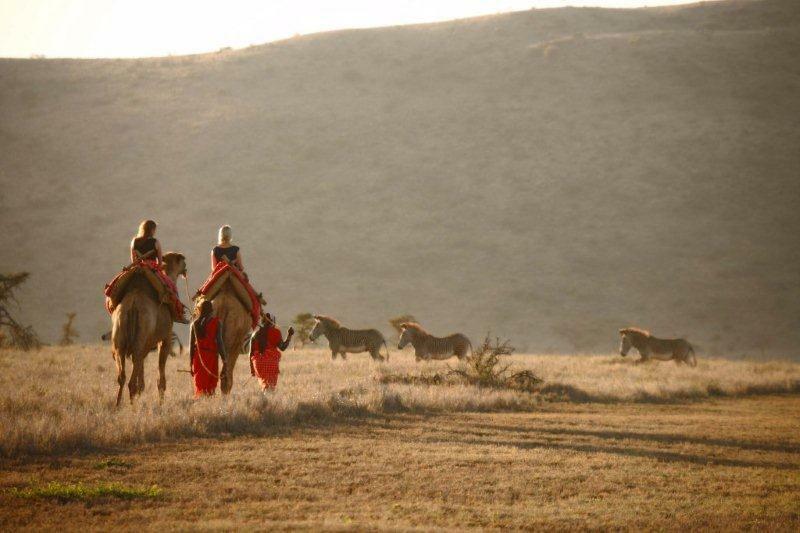 Lewa Safari Camp is about 65kms north of Nanyuki. The camp has a stunning location within Lewa Wildlife Conservancy‚ with outstanding game viewing‚ and spectacular views to Mt. Kenya to the south and arid lowlands to the north. 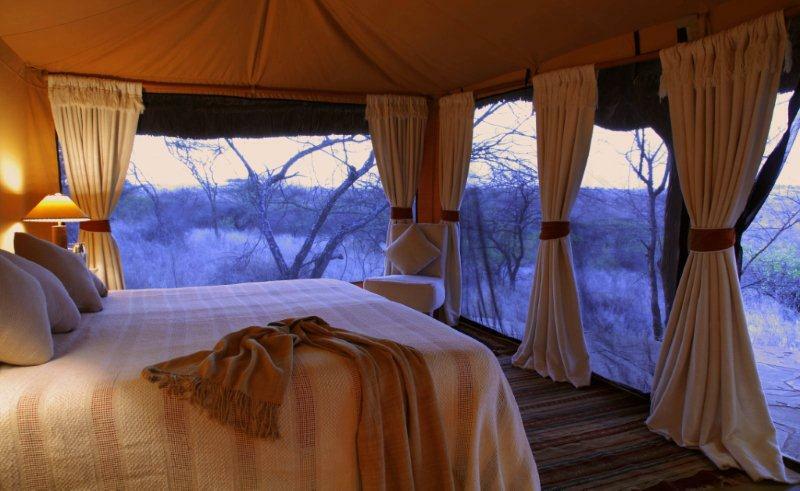 Each tent has thatched roof‚ verandah‚ and full en suite bathroom‚ very much in the 'Lewa' style. The central areas have exquisite gardens with a large sunny verandah and swimming pool to enjoy during the day‚ and cosy log fires in the lounge and dining room for the more chilly evenings. Arrive at Safarilink lounge‚ Wilson Airport for your scheduled morning flight to Lewa Downs. The flight is approximately 1hour 40 minutes to Lewa Downs. Upon arrival at the airstrip‚ you will be met by a driver/ guide who will transfer you to camp as you enjoy viewing the rhinos just before check in. After lunch you will depart for a late afternoon game drive or enjoy other activities offered at the camp. Lewa Safari Camp has open game drive vehicles. Guests can enjoy an almost private game viewing experience. You will set out just before sunrise in search of game as you enjoy the richness of the Park's wildlife and endless savannah. The game driving is outstanding with plenty of black rhinoceros‚ buffalo‚ the rare Grevy Zebra and resident predators‚ to a backdrop of beautiful views of snow capped Mt. Kenya. Enjoy a final early morning game drive before breakfast‚ after which you will be catching your return flight to Nairobi's Wilson Airport. Your safari ends upon arrival at Wilson.